Predictions for the future of manufacturing tend to focus on fast, adaptable networked systems and customised delivery. But that’s still taking the availability of resources as a given. Ideally, and alongside the high-tech advances, we would move towards low-tech societies of consumers. Issues of scarcity of resources are well-known but, generally speaking, aren’t taken seriously enough. Problems around access to affordable energy and water for manufacturing internationally are already with us, varying in severity by region. The EU’s list of ‘Strategic & Critical Raw Materials’ – those materials that are crucial to economies and at high risk in terms of supply, like magnesium, rare-earth metals and tungsten – continues to grow. And that’s now. By 2075 manufacturers will be looking to respond to demand from much larger markets of new and aspirational consumers (the World Resources Institute estimates there are 4 billion low-wage consumers with the potential to move up the pyramid). This will mean the potential for political conflict. As by far the largest source of the EU’s 20 critical materials, China holds a central position of power, alongside those nations controlling reserves of natural energy resources and access to fresh water supplies. One of the complications posed by Brexit is how the UK will be in a position to negotiate arrangements for access to scarce materials outside of the EU bloc. Questions around sustainability will form part of the debate at Manufacturing 2075, an event hosted by Cranfield University on 7 December 2016. Smart manufacturers, and nations as a whole, will be pushing for alternative business and consumer models based on services that minimise wasted capacity in manufactured products. For example, it’s estimated our cars are in use for 7% of their lifetime. Do we each need to possess our own washing machine – couldn’t there be more communal facilities to serve these kinds of needs, making the most efficient use of machinery, and providing business opportunities and jobs. Why can’t we go back to renting technology as we need it, as we used to with TVs and video players? These kinds of changes in consumer practice will be one way of ending the dependency on constant growth, on lower quality products with short life-spans and the need for constant new models and replacements. Manufacturers should at least be planning for more modular designs, where components can be replaced without needing to ditch whole products. There will need to be more innovative approaches to restrict use of scarce materials and prevent exhaustion: ‘passporting’ more materials (just as Platinum is now) so they can be tracked throughout cycles of use and re-use. We will need more ‘closed loop’ manufacturing and more substitutions of materials. 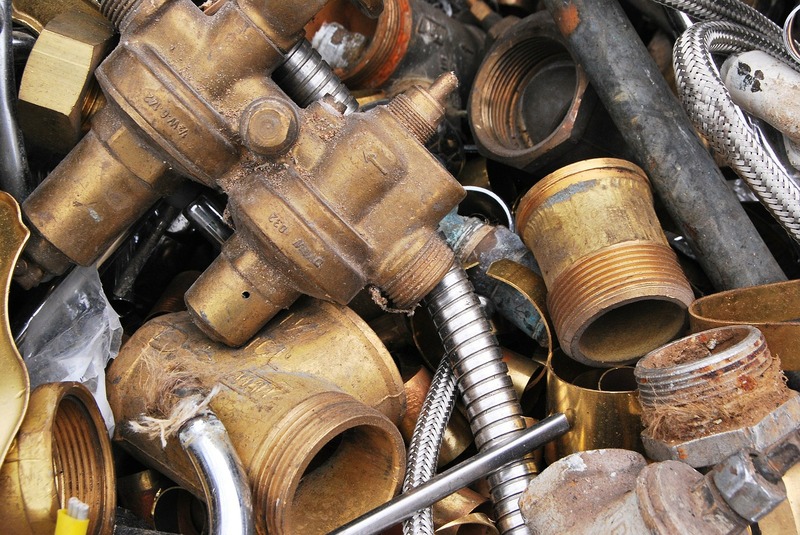 Like copper for example, which is still commonly being used in large quantities for water pipes when it may well in future join the EU’s critical list and there are many alternative materials available. ‘Secondary mining’, the excavation of landfill sites to extract valuable metals is likely to be a necessary norm, and there will be more initiatives in future to produce – and grow – substitutes that can replace rare and threatened materials. Availability of new data by 2075 will make a difference. Consumers will begin to have access to the full impact information on all manufactured products, the whole energy cost involved in manufacturing and logistics. So while we currently just think about the green credentials of our car in terms of exhaust emissions, in future we’ll able to see the carbon footprint of the actual manufacture, all the parts, the assembly and what’s involved in getting the vehicle to us. There’ll also be data on the whole materials cost in terms of what’s been extracted, from where, what’s been recycled, as well as any pollutants or environmental hazards left behind after production. Commercial imperatives are unlikely to be enough to create these kinds of changes and there will need to be a political will to support a culture change towards low-tech models of consumption on one level, and to enforce restrictions on the use of resources and for tracking on the other. By 2075, crucially, there will need to be a basis for agreement on the big one – the elephant in the room of any discussion on sustainability – why the developing world shouldn’t exploit natural resources to raise standards of living and national wealth.